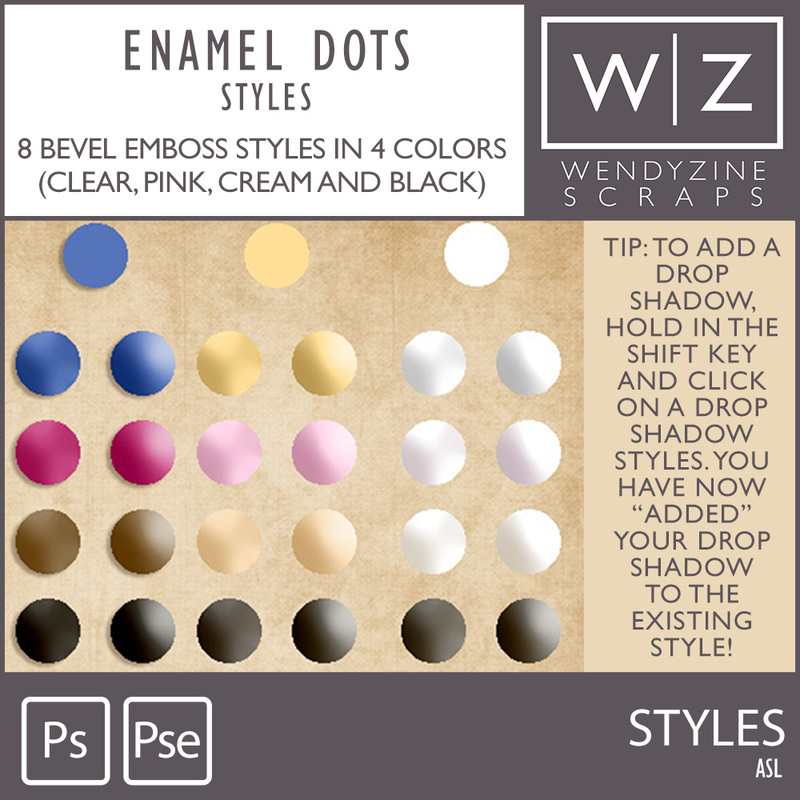 This set of 8 styles will transform a plan dot into a beveled one. Choose from 4 colors (clear, cream, pink and black), each in 2 bevel styles. Apply to different colored dots for different effects! TIP: Hold in the shift key and apply a drop shadow style to the dot to "add" any drop shadow style you like! Tested in PSCC+, and PSE11+. Mac and PC. (Older versions may work, but have not been tested.) Personal use, S4H or Designer use at no additional charge.